When your friends ask you what new dragons you have at school or they discuss DV things with you. When your friend calls you tell her that you have to go and feed your babies, and she asks "The cats or the dragons?" You're clearly addicted when you start getting impatient waiting for a limited you don't have... COME ON REINDEER!! And you use your Notes app for logging tries and how to breed dragons and a dragons you need list. ... You come home from a Christmas party at 2 a clock in the night and just want to have a quick sweep in your park. You end up stayiing awake and playing DV for more than an hour. And guilty in a lot of cases mentioned before. One more... You bring your device and something else on vacation. You intend that the other item is something to do, but you only do DV on the device and don't use the other thing at all. You know you're a DV addict when you put one iPad on charge while you play DV on the other and then switch when the one you were playing on goes flat. 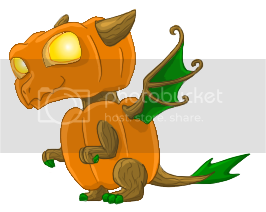 You know you're a DV addict if you squeal like a child on christmas when you breed a limited edition dragon. ...when you're flipping channels on TV and see a show called "Gem Hunt" and think "A new way to get free gems for DV?" before your brain fully processes that it's the television, not your game, and then you are disappointed. The possibilities go on and on with your car thing you nicely thought out. ...only that I haven't thought it out, it just happened to me. ive only been playing for 2 weeks and i'm setting my alarm at night to get up to re try for a mistletoe egg love this game! ...When you learn some basic Java Script so you can write custom functions for the Google Spreadsheet that you use to keep track of your DragonVale park data. Would that look cool or what? ...you know BS' Living Lexicon and Monthly Forecast off by heart! I agree with all of you on this one and poppy I got rid of all but one of my fireworks dragons and i have been trying to breed one with no luck...but i will not buy it. May you have Love, Peace, Joy this holiday season, and may you excuse all my Spelling and Grammar errors. when ... you budget your gems over the 28 expected minimum days in the BEB, like they are actual precious jewels, when they cost less than a trip to Jamba Juice in RL. The virtual value of gems to you exceeds the real value of the dollars to buy them. I schedule treats and dragons (where possible) to finish after home time in the Kindle park because there's no Wi-Fi at work. The smartphone park gets synched to coffee break and lunch.